Our teams gave back to the community by lending a hand to a family in need. 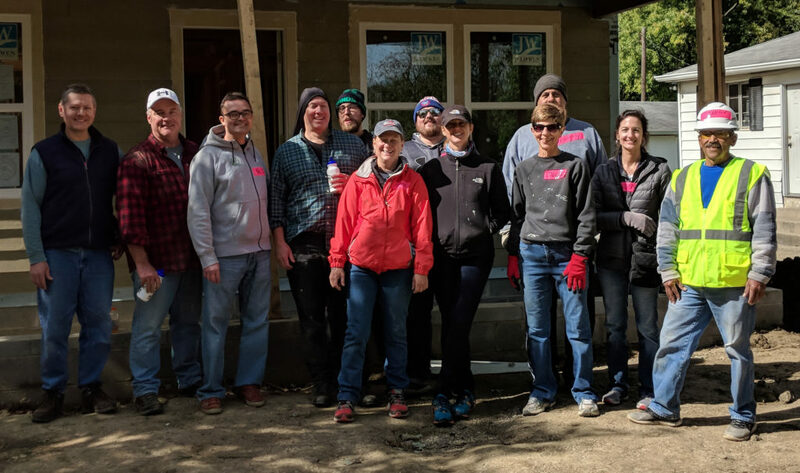 October 12, 2018 – Indianapolis, IN — Twelve employees from the Cincinnati, Oracle, Cloud and Indianapolis business units gathered to work on the future home of the Chavez family. Alongside Mr. Fransisco Chavez, the team caulked, hammered, drilled, installed windows, doors, and hardware. 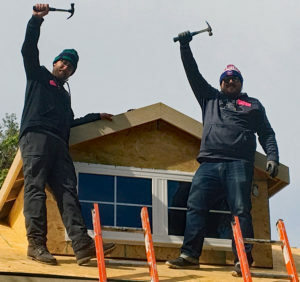 As the team began to build the porch ceiling, Russ Dixon showed the team how to build and use a deadman brace to help support the ceiling panels before they were nailed into place. The morning volunteers worked from 7:45 a.m. until the early afternoon with a short break for lunch. Habitat usually buys lunch, but Mr. Chavez insisted on buying lunch to show his appreciation. This service event allowed employees to support the greater good, one of Centric’s core values, and to do it together as a team. Centric Indianapolis at the future Chavez home. 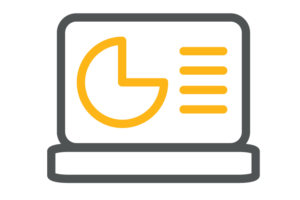 In Indiana, the average hourly wage necessary to afford a two‐bedroom FMR unit is $14.03; more than half of Hoosier renters (52%) cannot afford the fair market rate, according to an Indiana 211 Partnership Community Report. Housing is important to the quality of life, health and economic prosperity of local families and the entire community. Since our founding 1987, Greater Indy Habitat has provided the life-changing opportunity of homeownership to almost 600 local families.